Guernsey is a British Crown dependency situated in the English Channel off the coast of Normandy. The population of Guernsey is 63,000 and it’s size is just 24 square miles. During World War II, the island of Guernsey became occupied by the Nazis. Before the occupation, 80% of Guernsey children were evacuated to England. The 9th May 1945 is the day that will never be forgotten in Guernsey’s history. On that day, the island was liberated following five years of occupation by the Nazis. 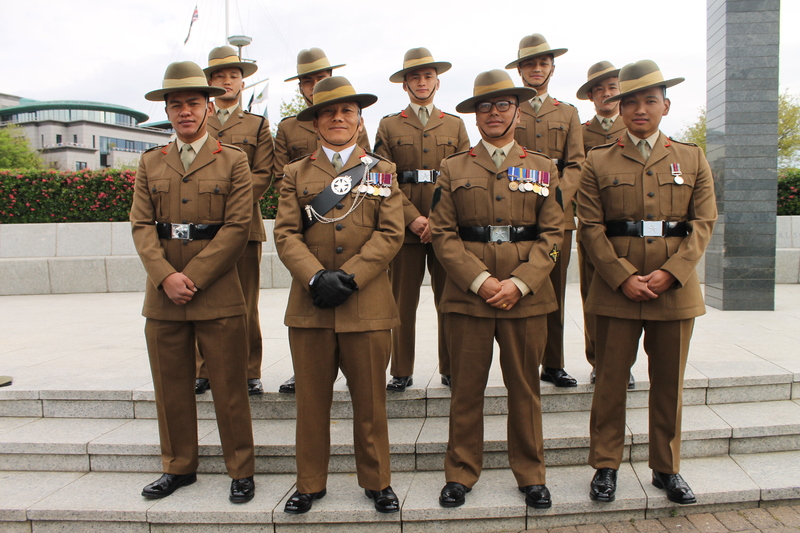 Since 2010, a wonderful lady from the island, Dame Mary Perkins, the owner of SpecSavers, has sponsored 10 Gurkhas from Gurkha Company Sittang (GCS) to represent the Brigade of Gurkhas to celebrate the island’s historic May Liberation Day. The people of Guernsey are very supportive, enthusiastic and always show great respect for the Gurkhas. On 5th May, the Gurkhas from GCS arrived in Guernsey along with Chelsea pensioners. Capt Lilaram Rai addressed the crowd and presented a small memento, the Gurkha 200 Plate, to Dame Mary Perkins. On the 7th May, the Gurkhas were invited to the Sporting Club were they received a £500 cheque for the Gurkha Welfare Trust. They then went to visit the St John’s Residential Home where senior citizens live, which was established since 1948 and is run by a registered charity. 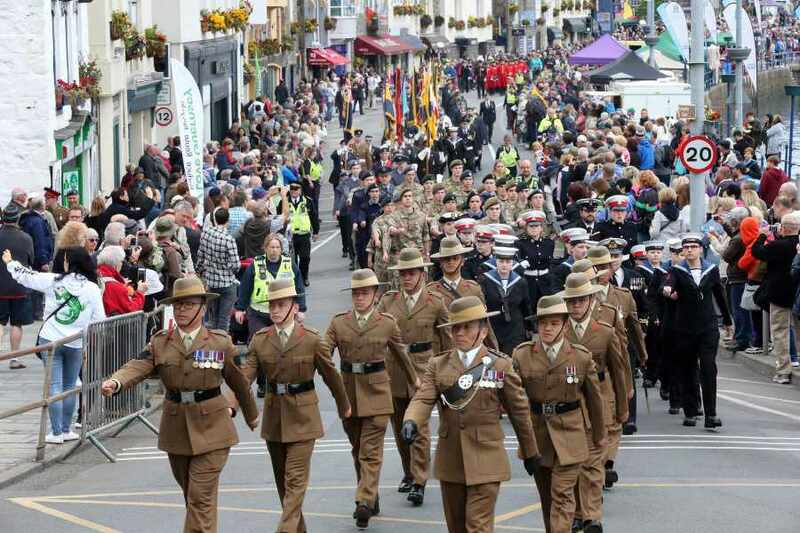 On 9th May , the Gurkhas from GCS paraded through the town of St. Peter Port led by the Boys’ Band, Guernsey Armed Forces cadets, veterans, standard bearers, Chelsea pensioners and other military representatives. The Governor, Lt-Governor Vice Admiral Ian Corder and the Bailiff Sir Richard Collas inspected the parade. They then marched to the town Church for the liberation service. After having dinner at hotel, the Gurkhas watched a spectacular fireworks display from the Guernsey Yacht Club in the evening. Many thanks to Dame Mary Perkins and the people of Guernsey for allowing Gurkhas from GCS the privilege of attending the Guernsey Liberation Day and may this tradition long continue. More coverage in the Guernsey press can be found here. Credit goes to Rfn Mandeep Rai, 1 Platoon, Gurkha Coy Sittang, for his excellent contribution to the article.